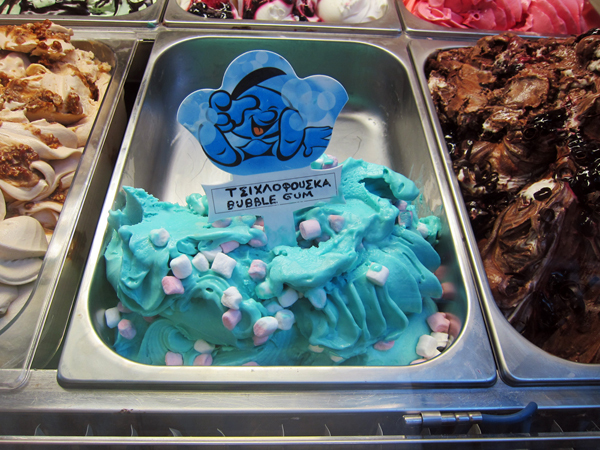 Smurf Gelato with marshmallows in it. Bubblegum flavored, natch. 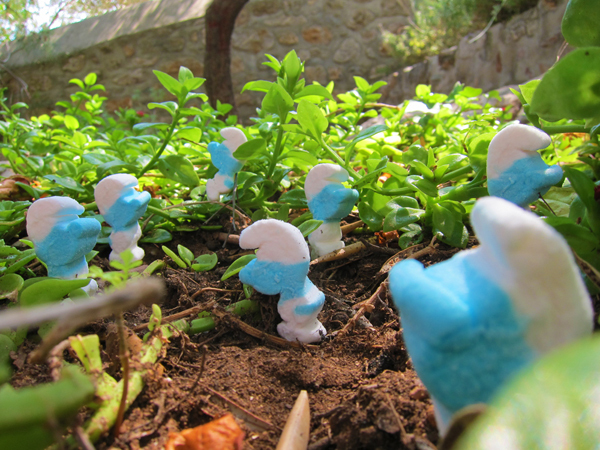 Smurfmallows live in the forest. are a completely different species than the Smurfs. Any likeness is pure cowinkydink. cartoons because it's bad for the franchise. 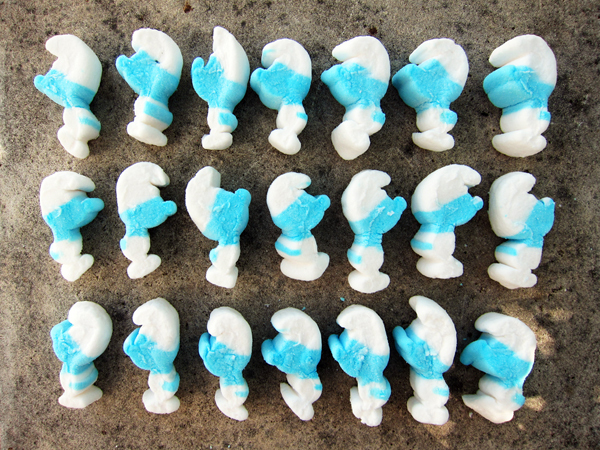 But they exist, and they're very jealous of the Smurfmallows.